It’s Spring Break. The Church people with the means and the houses are skiing and walking on the beach. I’m working and doing taxes in my spare time. Tax time is like judgment day. All the whinin’ in the world ain’t going to make it anything other than what it was. So, get to it, son. But the mind can’t help excusing. 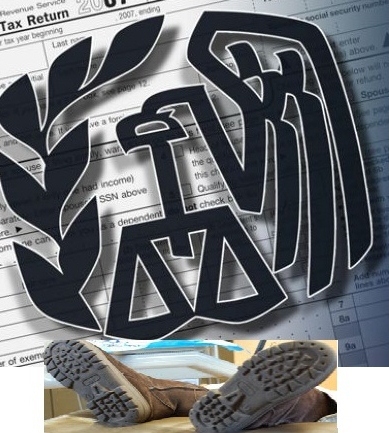 So, here are some of my inside thoughts, just for you, in case you need them at the audit or while working on your tax program or separating receipts. Oh, man. How's our home equity balance? Why are you laughing? You see what you’ve done with all your time and money and resolve that you will think about your choices more next year. And THIS time, you MEAN it. You mumble, “What was I thinking?” (you weren’t). It seemed like a good idea at the time. Somebody’s going to pay. It dawns on you that it is not going to be the auditor. You can run, but you can’t hide. Sooner or later, there is a day of reckoning. “I don’t even know what it is. How do expect me to explain to you why it was important in March of last year?” And you haven’t even opened it yet. “It isn’t fair.” Suddenly, lifelong Democratic liberals become libertarians. You don’t even give the $2 to donate to elections. You are yelling at your computer screen. This is not good. You are now an economic pacifist and have severe reservations about paved roads, national parks, clean water, schools, foreign aid and tax cuts for anyone making more or less than you. Now you regret telling your son that the church had plenty of money and that you believed in “proportional giving,” by which you mean, “it’d be hard to live on that particular proportion.” You could have used the deduction. Posted on March 19, 2012, in Christianity, Citizenship, Ethics, Taxes and tagged citizenship, deductions, excuses, IRS, Judgement day, judgment, tax return, taxes. Bookmark the permalink. 1 Comment.